Mr. Davis Lee Roberts, age 83, passed away Tuesday, April 3, 2018. He was born in Greenville, Michigan on June 22, 1934 to Arthur & Marion (Andersen) Roberts and served his country in the US Navy Reserve during the Korean Conflict. He married the former Lark LaCombe on January 1, 1982. Mr. Roberts had been the Vice President of Administration for Shaw Walker for 22 years until being "downsized" in 1980. In recent years, he owned his own recruiting business called Davis & Associates until he retired in 1996. Davis was a member of First Evangelical Lutheran Church and an active member of it's Choir. He was also a member of the Mona Lake Boat Club, Junior Achievement, Holland Elks and Life Circles. 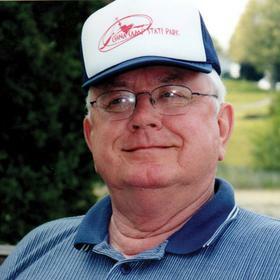 Davis was an active man who loved hunting, fishing, camping and traveling. Loving wife of 36 years, Lark; son, Kurt Roberts of MO; daughters, Rhonda Orem of MO, Lisa (Randy) Ringley of GA; 2 grandchildren; 2 great-great grandchildren; mother-in-law, Blanche LaCombe; brother-in-law, Spike (Jody) LaCombe; sisters-in-law, Lugene (Paul) VanderKooi, Laura (Bill) Hastings, Leslie (Mark) Woodwyk; several nieces and nephews. Saturday, June 23, 2018, Noon at First Evangelical Lutheran Church with Rev. William Uetricht officiating. Interment in East Montcalm Cemetery. MEMORIAL: In lieu of flowers, please consider giving to Life Circles or First Evangelical Lutheran Church.